Being healthy, fit, and energetic is not only one of the keys to a happier life - it actually results from a happier life. We can all live without illness, disease, and obesity. One of the problems is, however, the information provided over the past couple of decades may be contributing to the epidemics of obesity, cancer, heart disease, diabetes, and many other health issues. 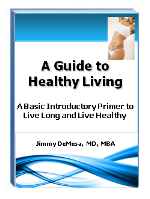 Read more to find out how to reverse this trend and become healthier, more fit, and live longer. Low carbs? Low fat? Low salt? Vegetarian diet? Supplements? What is the nutritional answer to optimal health, vitality, and longevity? Believe it or not, much of what we were taught over the past couple of decades may actually be wrong - and could be contributing to obesity, cancer, and heart disease rather than preventing it. Read more to explore this further - and possibly avoid many diseases you may be headed for in the future. Everyone knows the benefits of exercise to health and fitness. The question is, what amounts and types of exercise are best for optimum health and longevity? Everyone should have a regular exercise routine as part of an overall health plan. Even mental health has been shown to improve with regular exercise. 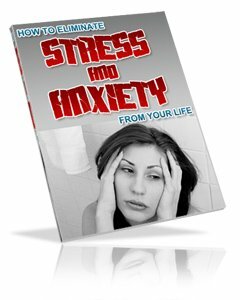 Read more to find the right happiness and fitness building exercise programs for you. Weight management is different from "your ideal body", and even more important for health and longevity. Do you struggle with your weight? If so, it may not be your fault. Low fat foods and calorie counting could actually be making you fatter! Read more to find out the best new techniques for managing your weight and being as healthy as possible at the same time. How long do you want to live? Many people don't want to live "too long" simply because these days that almost certainly means chronic disease and the requirement for frequent doctor visits and multiple prescription medications. It doesn't have to be that way! In fact, you could be healthier and more vibrant at 90 than you are today - if you start working on it now. Read more to find out the ways. Looking good helps make us feel good. It builds self-confidence, makes us more enthusiastic, and even can help us live longer. Looking great does not have to be an obsession, but it should be an objective. Read more to understand a bit about how you can achieve your ideal body - and mind - and look years younger, at any age! Subscribe FREE to the bi-monthly BeHappy! Newsletter by filling in the boxes below (it's a $150 annual value). Every other month you'll get great happiness-building information that will improve your life.